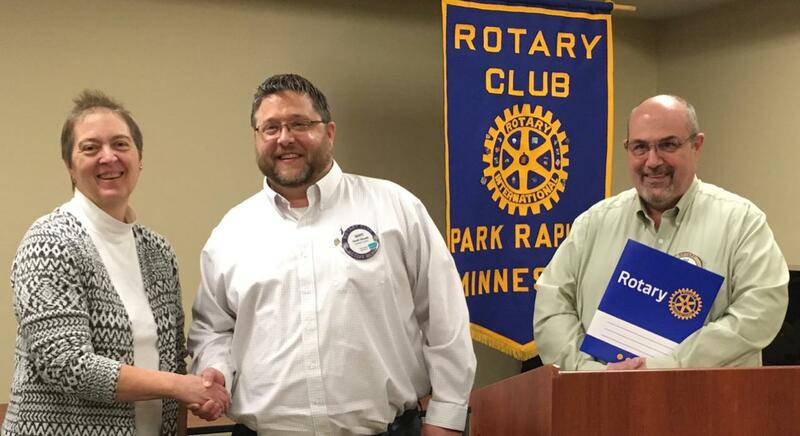 The Park Rapids Rotary Club welcomed Mary Thompson as a new member Wednesday, April 3. Participating in the induction were Scott Hewitt (center), club president, and Patrick Sullivan, membership chair. Mary is the Hubbard County Regional Economic Development Commission Executive Director and was proposed for membership by John McKinney.